The Bremen Classic Motorshow kicks off the automotive show calendar for dedicated classic events, and this year Volkswagen is aiming to blow the roof of with its display. Or rather, it already has, as it celebrates four decades of the Golf Cabriolet under the title of 40 Years of Sunny Outlooks. 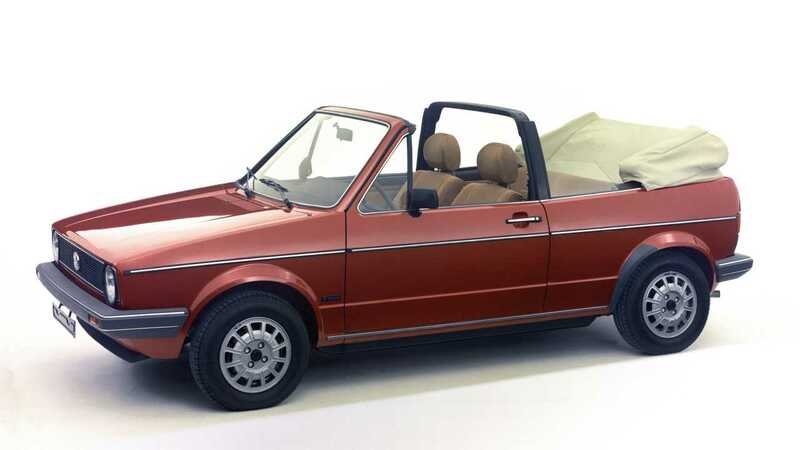 When VW first removed the roof from the increasingly popular Golf in 1979, they used a promotional campaign centered around ‘Sun, Moon and Cabriolet.' Manufacturing was split between VW and Karmann, with big pressure to succeed on the project seeing as VW’s Beetle Cabriolet had been a huge hit. 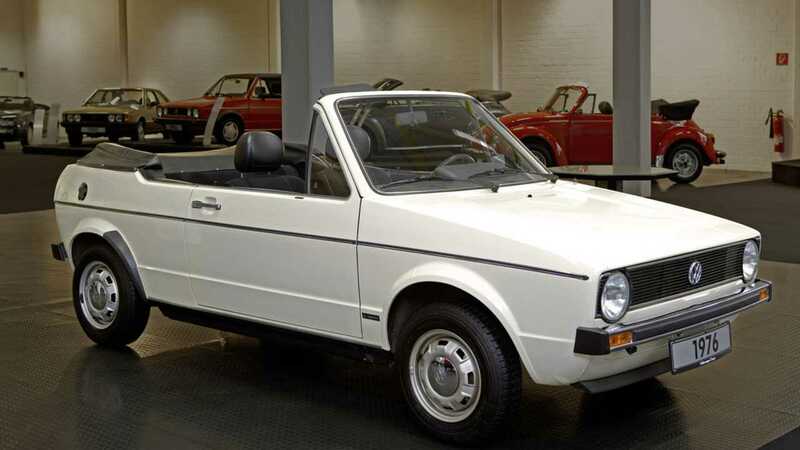 Thankfully for VW, the Golf Cabriolet proved a hit, and despite lacking a fixed roof was also a leader in safety features. After four years, VW created a second generation Golf, with the Cabriolet edition essentially being a modified version of the first car through to 1993. During this time a total of 389,000 Cabriolets were built, making it the most manufactured cabriolet in the world and likely the biggest cause of mobile sunburn. 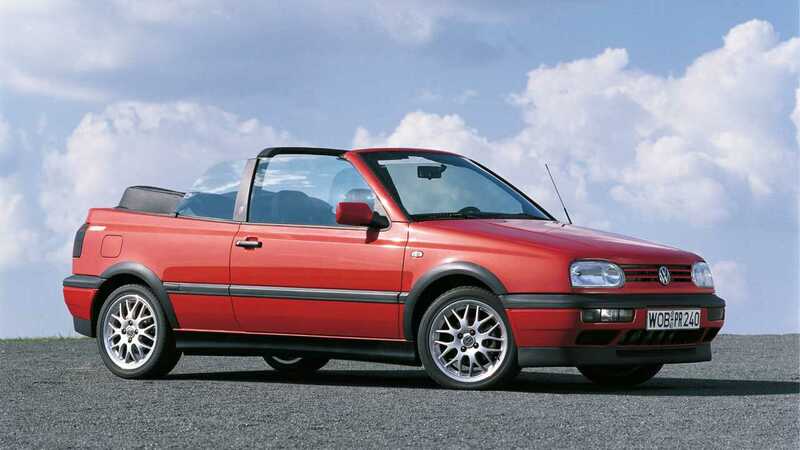 Fans weren’t kept waiting for the next model, with the Golf III Cabriolet hitting dealers in time for summer. The car was stronger and more rigid, meaning it drove better, and with the folding roof down looked more sleek. It was the cabriolet for the child of the ‘90s in the same way the Beetle has been for the ‘50s. Further safety advancements came, and another 139.578 units were sold. You have to wonder how many couples have stared up at the night sky together in what they claim was an American or German sports car but was actually a Golf Cabriolet. 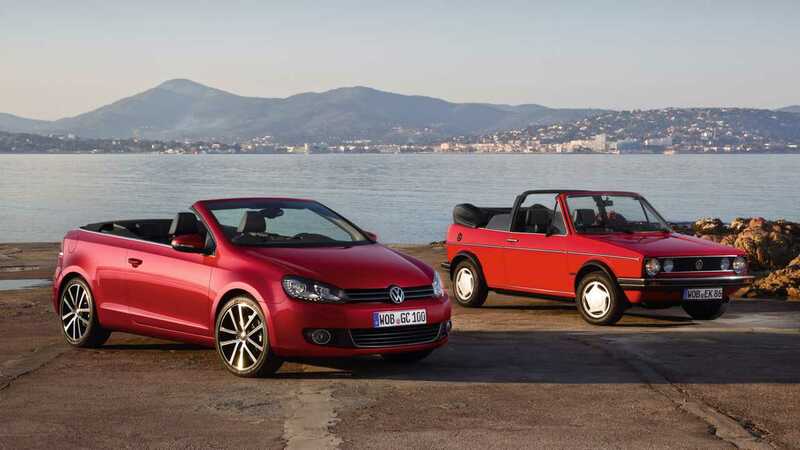 After five years of success with the Golf III, VW gave it another facelift and named it the Golf IV Cabriolet. Although it still sold, there seemed that everyone who wanted a Golf Cabriolet had one by the millenium, and production stopped in 2001. And then ten years later, the Cabriolet came back. The world had changed a lot during this time, with the internet, shops and all-in-one holidays all vying for the commercial attention of those looking for love. But VW knew that what every dashing youth needed to attract, and maintain the attention of their opposite was a Cabriolet. Production started in March ‘11, and featured roll-over protection, a reinforced windscreen frame, and a GTI sporty option for those who waited a year before buying. The sports market was a captive audience, and there was a follow-up Golf R Cabriolet. In 2016, VW ended production once again, after a total of 770,039 Golf Cabriolet cars. On display at Bremen will be the ‘strawberry punnet’ prototype for the first model, designed by Karmann and without a roll bar. It proved to be the one design feature VW disagreed with. There will be several other of the Cabriolets, including an early Golf I in Capri Blue, a colour combination where love must’ve blossomed many a time in the early ‘80s.